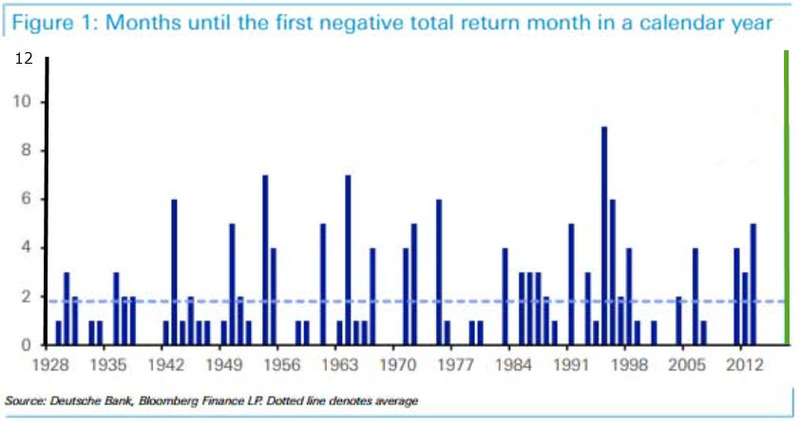 A “Perfect” Stock Market Year; a Good Thing? By 2024, global risks from flagrant financial bubbles in 2017 will have been recognized. For today, one can only seek to influence those willing to think outside the conventional, “‘they’ will take care the big problems” view. As 2017 comes to an end, the “perfect” stock market has been drilled into the minds of the American investor like none that has existed in the 121-year history of the Dow Jones Industrials. The chart below, developed by Deutsche Bank, is yet one more example of how 2017 has not only been bullish for stocks but has been at a level of “perfection” not seen before. Is this a good thing? I think not if one considers the long history of cycles and credit in history. Let me illustrate. In 1981, I began work on my Master’s degree. Americans would see the national debt top $1 trillion for the first time. If your money market was not paying double digits, you moved your money. 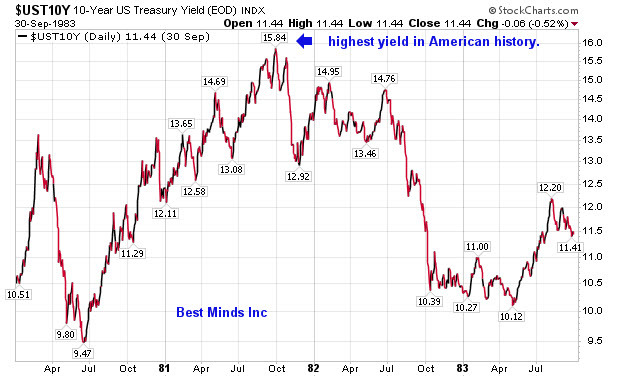 Yields on 10 Year US Treasuries reached 15.84% in October 1981. 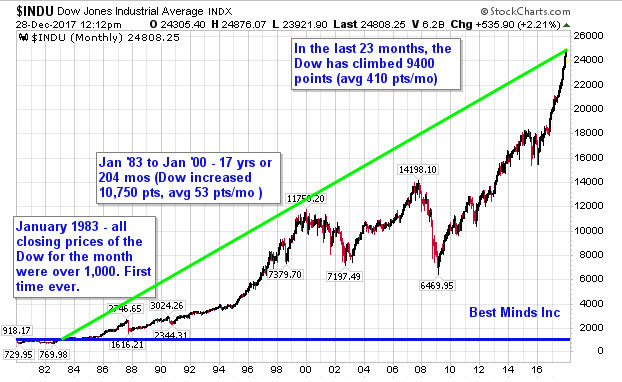 In January 1983 the Dow closed above 1,000 for an entire month, a first in its history after reaching 995 for the first time in February 1966. Yes, the money world of the early 1980s differed greatly from 2017. If someone told us that 36 years later we would see the US national debt climb $1 trillion in a year to cross $20 trillion, money markets at the biggest banks paying less than 0.50% for deposits under 100,000 (a trend since 2014), and the Dow leap 7,000 points over 14 months to almost 25,000…. would we have believed them? Not based on the experience from 1966 to 1981. So is it hard for us to believe the period ahead might not produce an additional $19 trillion in debt alongside another 24,000 increase in the Dow, WHILE interest rates plunge even LOWER than their LOWEST in American history as seen in 2016? Cycles have come and gone in history. Bubbles and come and gone in history. One thing history has taught investors willing to learn from world events since the Dutch Tulip Bulb in the early 1600s is that the more “perfect” any investment theme has captured the minds of the public, the more disastrous the period following when money flowing from the herd changes directions. The panic to keep from missing out stopped. The panic to get out began. In the fall of 1981, the cost to borrow money for US government reached its highest in American history. In the summer of 2016, the cost to borrow money for the US government reached its lowest in American history. 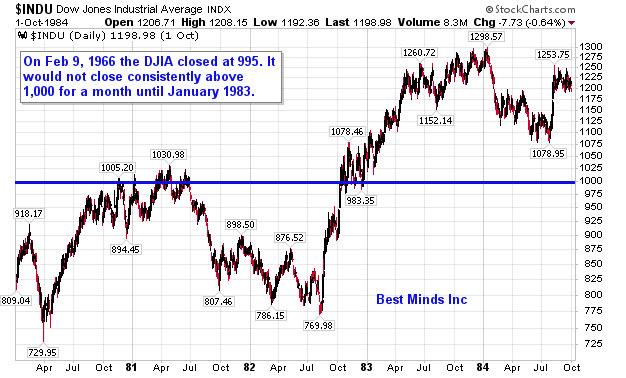 Has this 35-year bond market bull (interest rates coming down, bond prices moving higher) ended? Could investors learn from the 35-year period leading up to 1981 as we start through 2018? 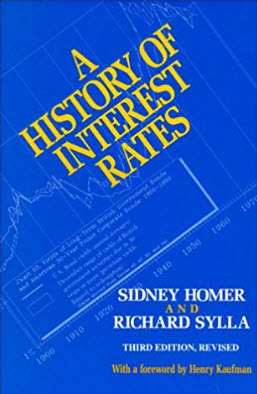 This entry was posted in Uncategorized and tagged bear markets, bond market cycles, bubble, highest US Treasury yields, history of the Dow, lowest US Treasury yields, market psychology, panic, Richard Sylla, Sidney Homer, The Dow on December 29, 2017 by Doug Wakefield.